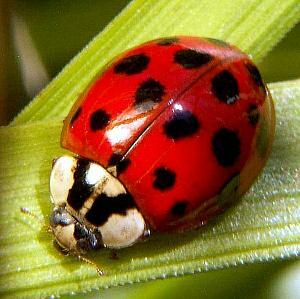 Ladybird beetles are mostly under 1/4 in. (6 mm) long and are nearly hemispherical in shape, with very short legs. 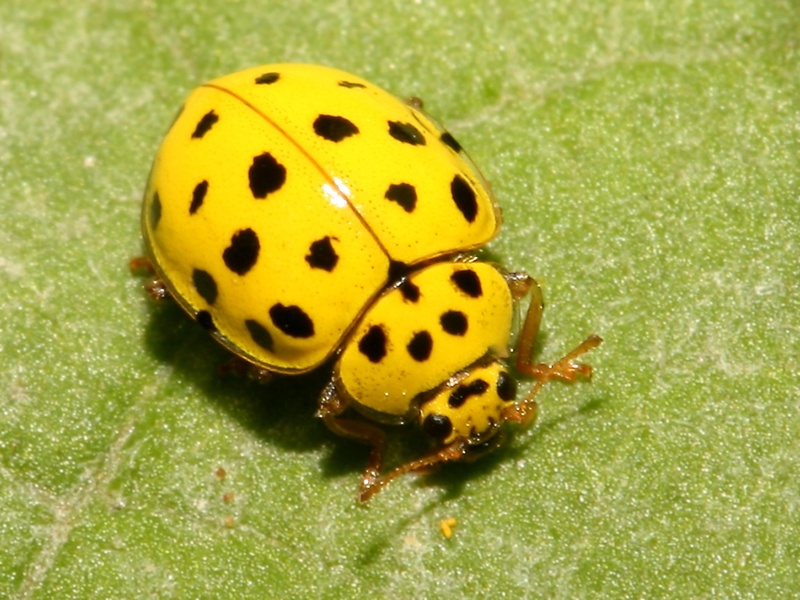 They are usually red or yellow with black spots, or black with red or yellow spots, the common species differing only in the number of spots. They have a bitter taste, and their bright coloration is thought to serve as a warning to predators. The name is believed to date from the Middle Ages, when these beneficial beetles were dedicated to the Virgin. 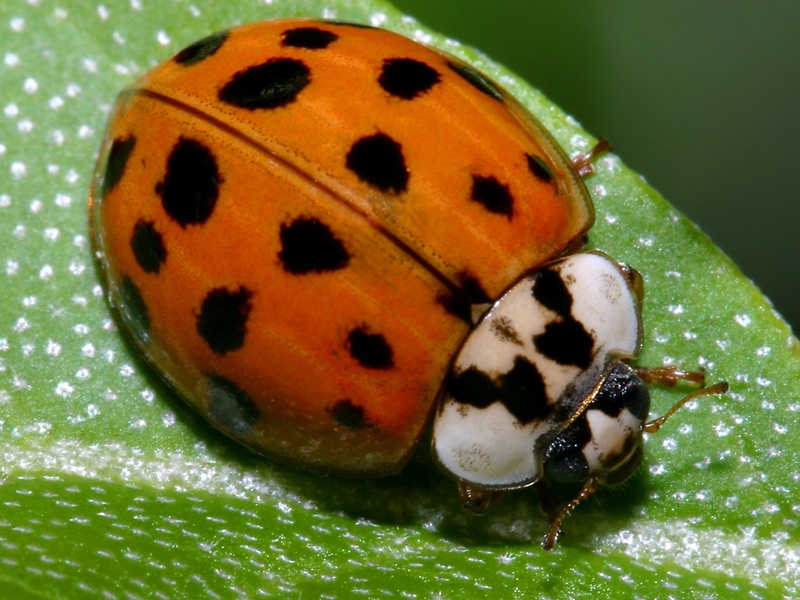 Nearly all ladybird beetles, both larvae and adults, are predators on destructive, plant-eating insects. The eggs are laid on plants infested with aphids or scale insects, on which the larvae feed until they pupate in the remains of the last larval skin. 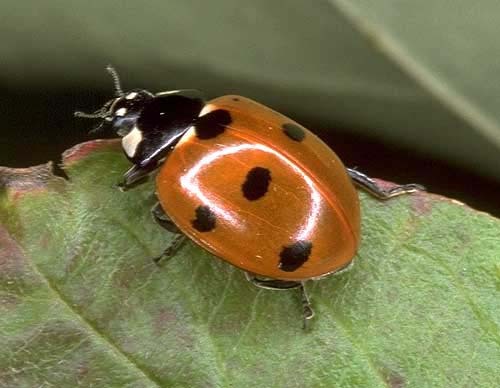 The adults gather in large numbers in the fall, prior to winter hibernation, and are often collected at that time by farmers for use in pest control.